Like most other Phillies fans at this moment, I am trying hard not to hit the panic button. This year’s edition is arguably the best squad assembled in franchise history, and regardless of whether or not they are just playing out the season until the playoffs start, they are not supposed to lose six straight games — especially at home, and with four of those losses coming against the Nationals. This is not part of the plan! However, while worrying about whether the club can turn the intensity knob back to “11” is an understandable response, it’s worth noting that the Phillies haven’t played this long a stretch of meaningless games since the end of the 2002 season. Yes, you read that right: 2002 marked the last time the Phillies played this many games with no division title, wild card spot or postseason seeding position on the line. It may seem hard to believe, but from 2003-2006, the Phillies were often picked to compete for the division title, and despite under-performing preseason expectations each year, they were usually vying for some sort of playoff position until the last week of the season. Furthermore, the final standings in 2009 and 2010 hide the fact that the division wasn’t clinched until the final week of the season — the big final leads were often the result of the Phillies playing ridiculously well right up until the end of the season. Knowing all this, I’m sure that all Phillies fans would rather face the anxiety we’re now experiencing rather than the dreary close that we witnessed back in 2002, the last time the Phillies closed a season with over 10 relatively meaningless games. Aside from noting the 80-81 mark The Fightins compiled nine years ago, it might be helpful to recall some rather notable things about that season. 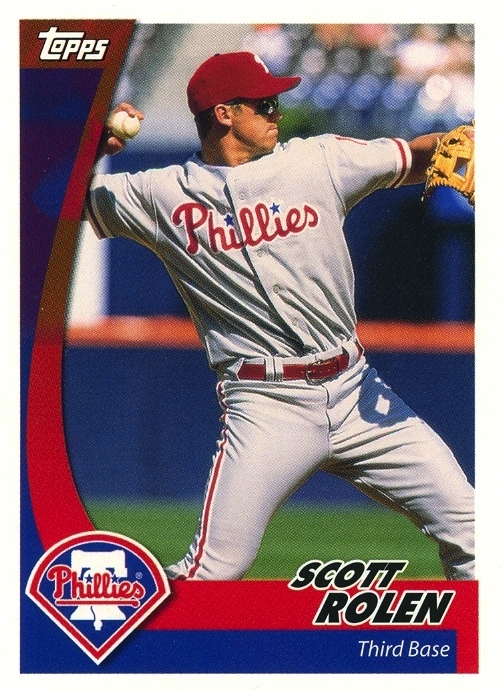 Most notably, it was the year that Scott Rolen got run out of town by Larry Bowa and the very vocal, neanderthal segment of Phillies fans. Once it became obvious that upon reaching free agency he would never sign a long-term contract to stay with the Phillies, the club made the best of a bad situation. In retrospect, given Rolen’s injury issues, the Phillies might have gotten lucky. However, at the time, the front office looked very unprofessional in the way it let the situation unnecessarily spiral out of control. 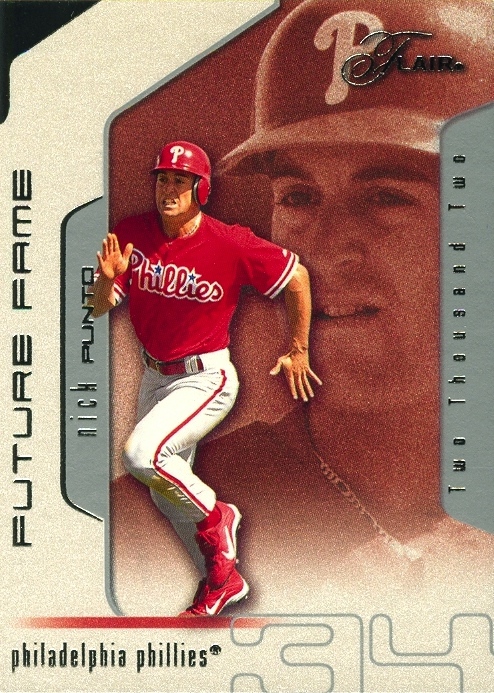 It certainly didn’t help that Rolen became the second big name star to leave Philly in just over two years — something the card manufacturers weren’t letting Phillies collectors forget. 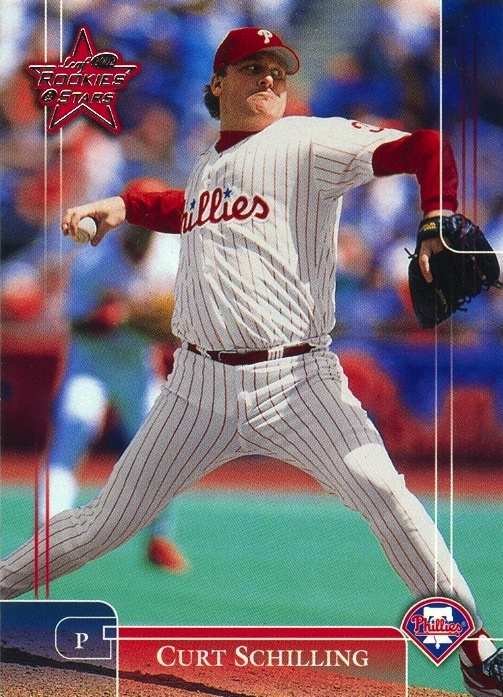 That year, they issued four different Curt Schilling Phillies cards, most notably a short print variation in the Leaf Rookies and Stars set. 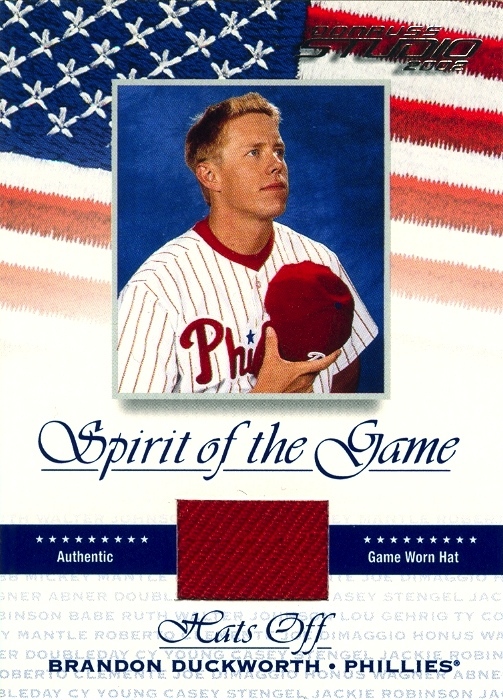 In fact, despite going to Arizona in 2000, the manufacturers produced at least one card of him as a Phillie every year through the 2005 season. There ought to be a rule against that, at least in regards to active players. 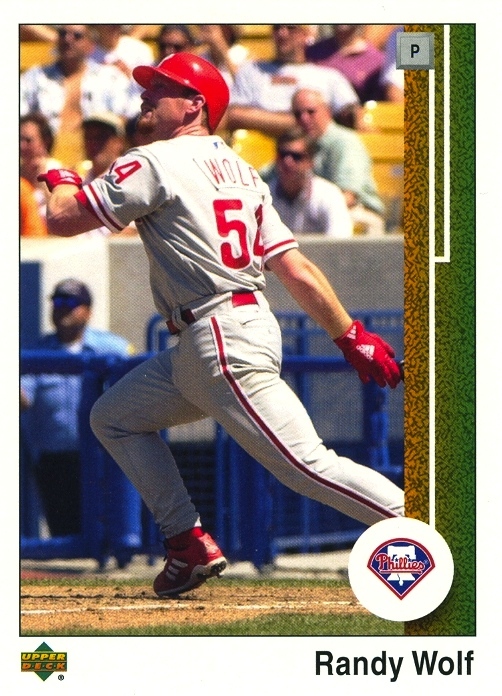 As for the actual pitching staff that season… well, Randy Wolf gave the Wolf Pack plenty to cheer about and gave the best effort of his Phillies career. Furthermore, Vicente Padilla showed flashes of why the Phillies might not regret the Schilling trade. Unfortunately, this was also the year Brandon Duckworth started 30 games. To be fair, his AA & AAA numbers suggested decent middle-of-the-rotation potential, and that is where he was slotted. However, his performance at the end of the 2001 season may have raised expectations too high, and he never tapped into the potential he showed. Amazingly, he’s still pitching at Boston’s AAA affiliate (he also pitched in Lehigh Valley last season), but it’s probably safe to say his big league career ended in 2008 with the Royals. However, given the way the Red Sox have been playing lately, maybe they should give The Duck one last chance — it certainly couldn’t hurt. If you based your knowledge of the 2002 squad solely on the baseball cards produced that year, you would think that Eric Junge was a major contributor to the club. The card manufacturers were at the height of their rookie card madness and producing mass quantities of just about every prospect and suspect in the game. Although he appeared in just four games, providing a grand total of 12⅔ IP, the manufacturers produced over 50 different cards of him (that number includes parallels). By contrast, Joe Roa, who started 11 games for the Phillies that season, didn’t appear on a single card that year — not even the Phillies Team Issue set. 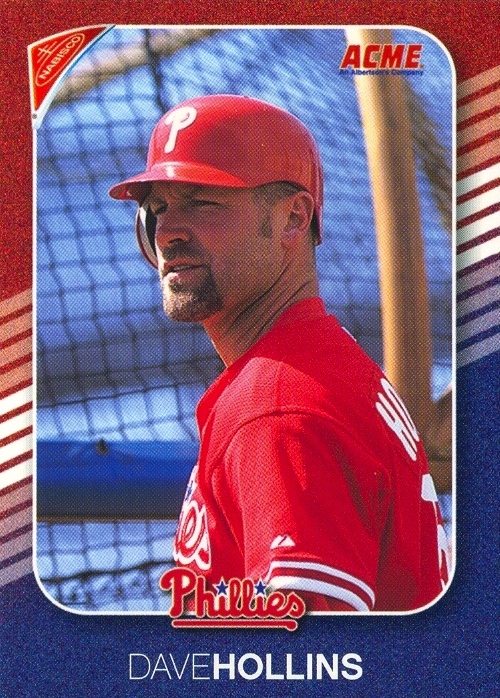 If it hadn’t been for the 2003 season, he may never have appeared on a card as a Phillies. Even then, that year’s Phillies Team Issue and Topps Total sets marked the only time he appeared on a card as a member of The Fightins. Just talking about the likes of Junge and Roa are enough to ease the sting of the current squad’s six-game skid. 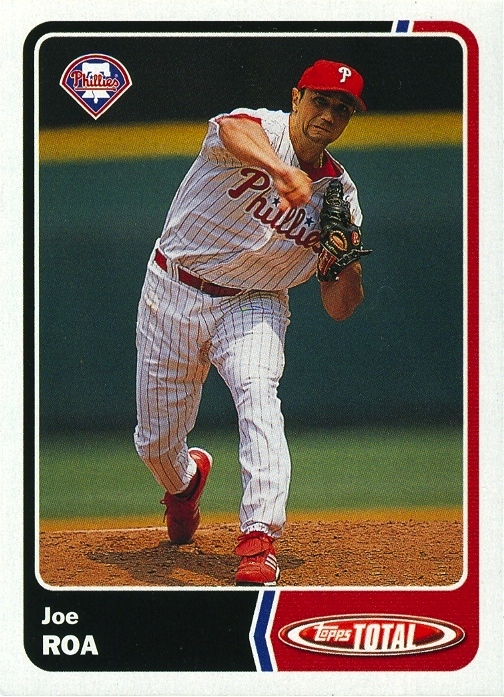 Apropos of the number of Junge cards that season, don’t get me started on Anderson Machado and Jorge Padilla and the ridiculous number of cards they received during the 2002 & 2003 seasons. Check out Jimmy’s ‘fro on his Donruss Originals card that year. Not quite Oscar Gamble-esque, but pretty awesome for the time. I don’t know if he knew/suspected he was likely to go bald as his career progressed, but if he did, then kudos to the man for growing it out long while he could. Only three players from that squad were still with the team when they finally won the World Series: Rollins, Pat Burrell & Brett Myers. Interestingly, there were two members of the ’93 squad on that team as well: Dave Hollins and Todd Pratt (although, both were on their second stint with the club). The ugliest set of baseball cards that didn’t appear on a box of butter was a stadium giveaway that season: the 2002 Nabisco-Acme Phillies. Thin cardboard stock, crappy print quality and photos that look like they were taken with a disposable camera. Scans don’t do the cards justice. On second thought, it might very well be uglier than the 1986 Keller’s Butter set. It was the year of another wrong brother sighting. 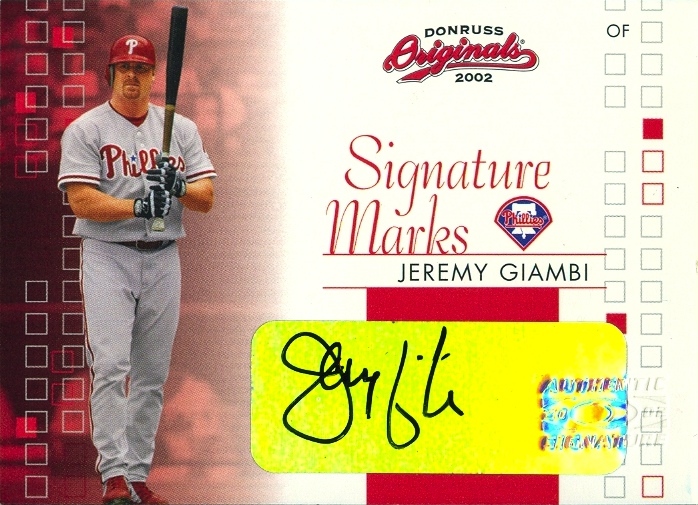 In his only season with the Phillies, Jeremy Giambi hit 12 home runs in 82 games, putting up a 162+ OPS in the process. As far as wrong brother acquisitions go, this was possibly the franchise’s best. 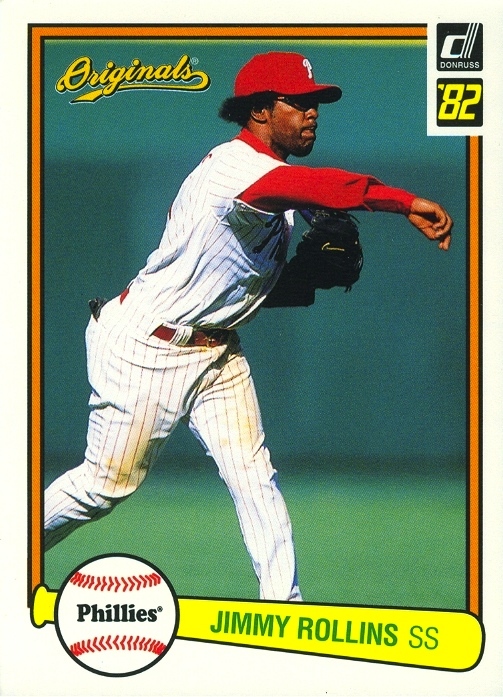 I remember the astonishment of finding out during the following off-season that the Phillies weren’t going to bring him back and that they traded him for Josh Hancock. At the time, I thought he was surely worth more than that in trade (although, they did get him by trading John Mabry). The Jim Thome & Kevin Millwood acquisitions quickly allowed me to disregard that particular trade. It was also the year I felt really bad for Travis Chapman. He had a career year at Reading that year, and given the instability at third following the Rolen trade, I never understood why the Phillies didn’t just give him a shot that September. His only big league appearance came in 2003, but at least he could say that he did make The Show — and appeared on many different baseball cards (many of which bear his signature). The antithesis of Chapman’s professional baseball experience has to be Nick Punto’s. The minor league numbers shown on the back of his Flair card are those of a player who shouldn’t be let near a major league field, at least not without paid admission. Yet, he’s still in the majors today, despite a career 75 OPS+ compiled over nearly 3,000 plate appearances. On that note, for now I’ll stop talking about bad Phillies squads. Another loss tonight will likely force me to write a post about the 1983 or 1993 team in an effort to exorcise any negative karma I possibly created with this post and the one about the 1996 squad.